Enjoy your breakfast, refreshments, snacks and evening drink at the pool bar and make your holiday unforgettable! 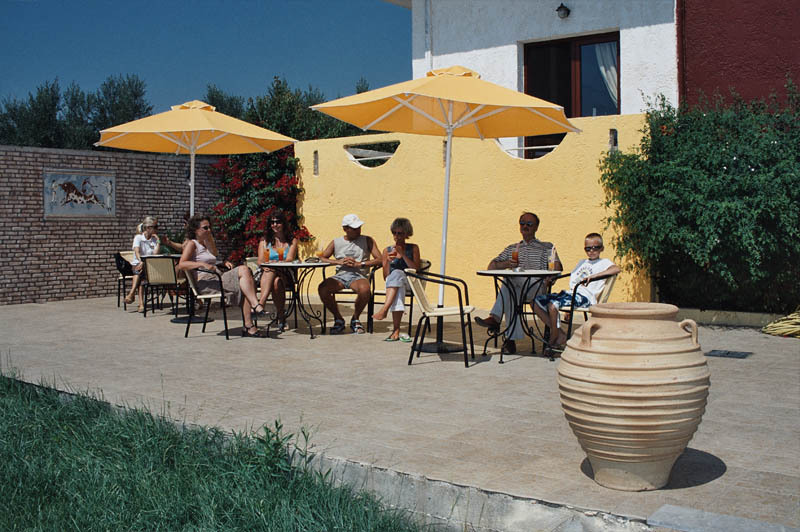 And of course enjoy sunbathing near the pool with our lush garden surrounding you. 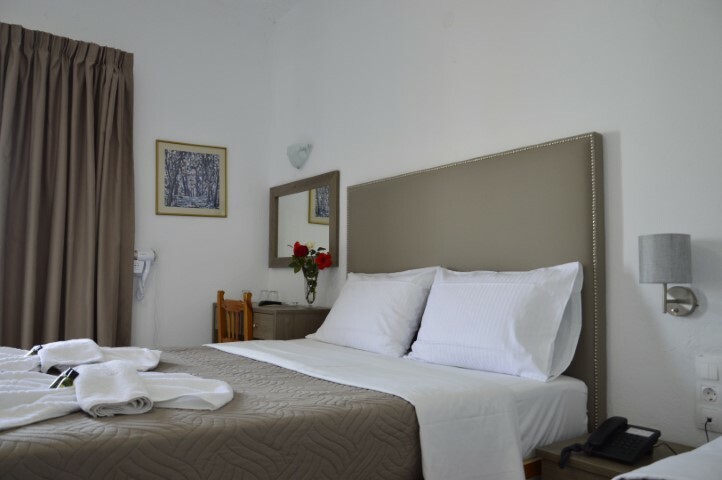 The hotel has been fully renovated in recent years, offering you the best services, at the best prices! 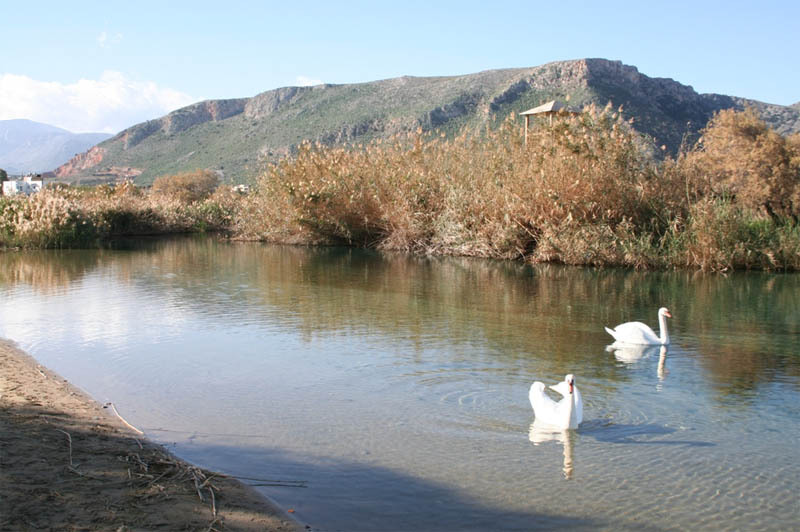 The best base for exploring the majestic island of Crete. We welcome you to the friendly surrounding of the Hotel Stork. 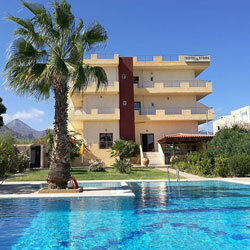 Hotel Stork is located in Ammoudara, 8km west of the city of Heraklion on Crete. 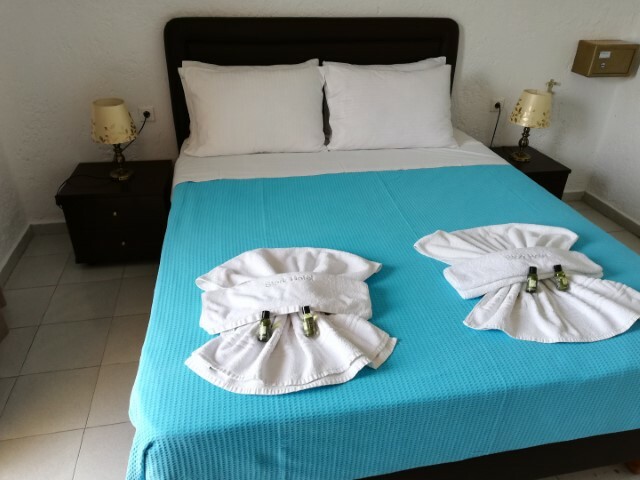 It is situated in a lush valley with olive groves only 350m far from the beautiful sandy beach of Ammoudara, where you can enjoy all water sports. 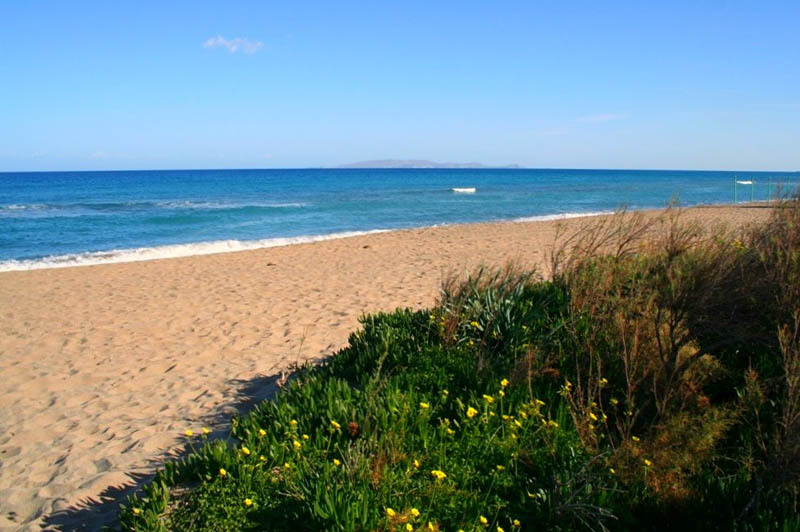 The beach has been awarded with the blue flag due to its clearness, safety and touristic amenities. 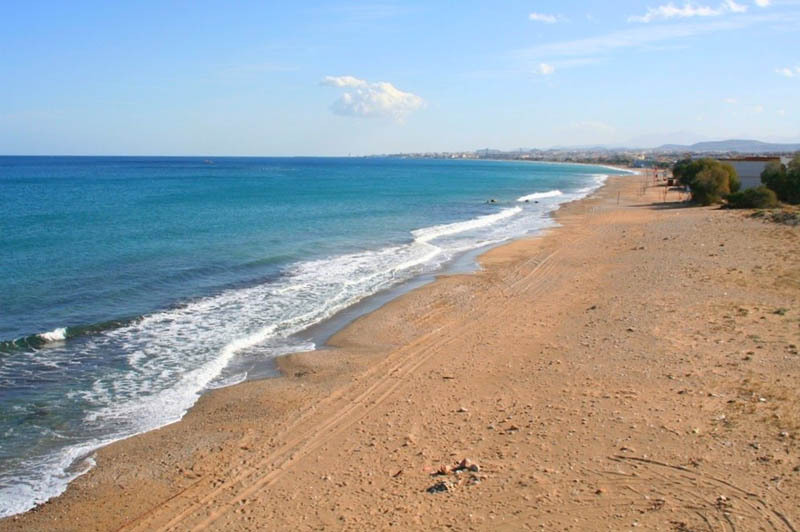 The highway connecting Heraklion with all cities and main sights of Crete runs in close proximity to the hotel, making exploring of Crete easier. If you don't have a car, you can catch the frequent buses running to Heraklion city centre every 15 minutes. 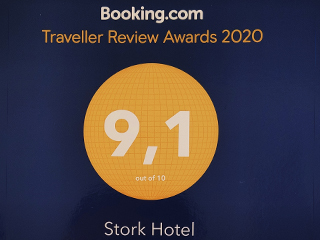 Hotel Stork offers 40 comfortable bedrooms all with private bathroom, air condition, radio, safe box, fridge and large balcony with magnificent view to the sea and to the surrounding mountains. Also there is a Reception area, bar, salon with TV, internet corner and a restaurant for breakfast. 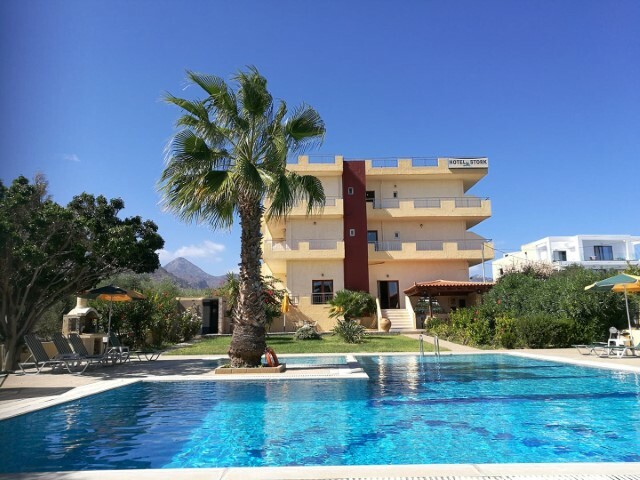 Hotel Stork also offers a lovely swimming pool place with a pool bar and a lush garden where you can enjoy your refreshments, drinks and snacks. 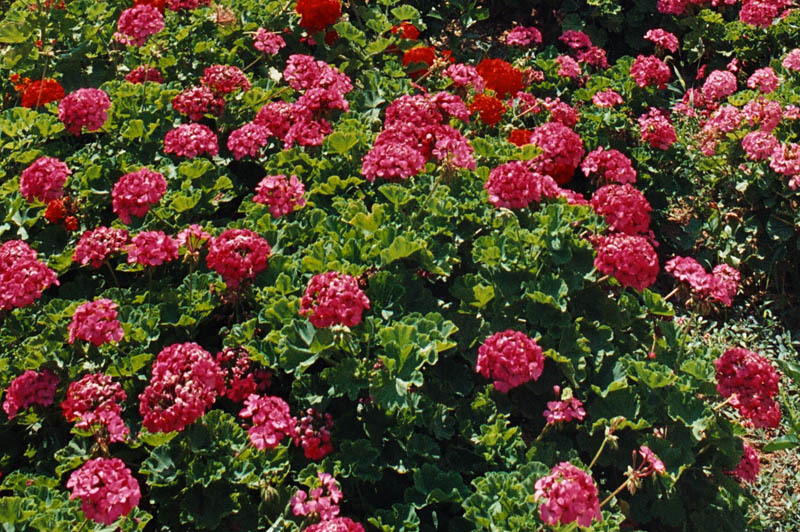 We wish you an unforgettable experience in Crete! Thank you all guys for making holiday in Crete unfogettable! We'll be back asap with our young boys! We have stayed in the refurbished rooms and they are really amazing! Crete is stunning!